Fort Hunter Liggett, CA -- In the midst of the summer heat in California, Spec. Jean Carlo Malavé, and Privates 1st Class José Martínez, Alexander Polanco, and Abdin Cabán, all from the 311th Quartermaster Mortuary Affairs Company, U.S. Army Reserve-Puerto Rico, are currently participating of their first annual training, while supporting a Combat Support Training Exercise (CSTX), at Fort Hunter Ligget, California. 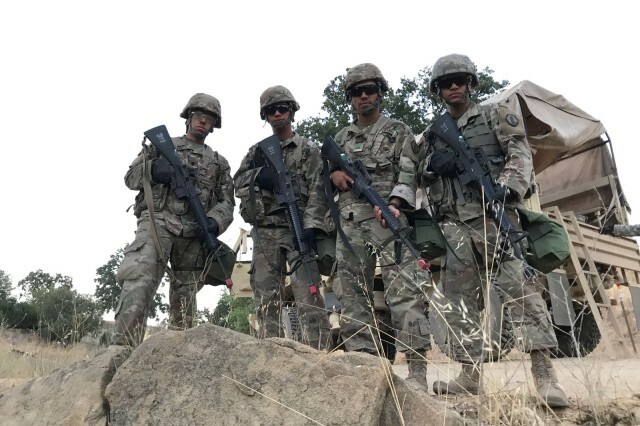 Every year, typically in the summer, Army Reserve Soldiers, leaders, and units increase capability and readiness through their participation in annual training exercises. "This is my first annual training. I have tremendous confidence in my unit leadership, as they are always enforcing Army standards and encouraging us to become better every day," said Malavé, a 26 years old Soldier from Gurabo, Puerto Rico. This experience also makes Malavé recall his reasons to join the Army Reserve. "I joined to grow as a leader by following the Army values and applying them to my daily life,'' added Malavé. Meanwhile, for Martinez, the annual training has some tangible benefits that go beyond his service in the Army Reserve. "The CSTX is a new thing for me. I believe this exercise will help me with in my civilian life because I am learning how to deal with high stressful situations, while helping others at the same time, "said Martinez, a 19 years old Soldier from Mayaguez, Puerto Rico. Cabán, a 22 years old Soldier from Aguadilla, Puerto Rico, sees this training as a way to always be ready. ''Training like this keeps us physically and mentally ready in case the call of duty shall arise as required by the Ready Force X mindset,'' said Cabán, while explaining the fact that units must be ready to fight fast, if needed. The annual training also includes unit level mortuary affairs exercises, which Polanco seized to expand his knowledge about his military occupational specialty in the mortuary affairs field. "Soldiers with the mortuary affairs specialty took a renewed relevance in Puerto Rico, by assisting the local government in a critical mission,'' said Polanco, the 23 years old Soldier, native of Isabela, Puerto Rico, while making reference to the critical role the Army Reserve played in the Puerto Rico's Institute of Forensic Science , in the aftermath of hurricane Maria. This Annual Training also allowed First Lieutenant Petersson Popoff to assess the readiness of his unit, since taking command a few months ago. ''My Soldiers are very professional and are meeting every single standard during this exercise, "said Popoff proudly. Even though the annual training is heavily requiring troops to develop and refine basic Soldiers skills, Popoff keeps in mind the importance of the Mortuary Affairs mission. "The most inspiring aspect of being a mortuary affairs specialist in this exercise is teaching Soldiers about warrior tasks and drills and how to effectively negotiate the situations that come along when you are treating our fallen heroes with dignity and respect,'' added Popoff. The 311th Quartermaster Company is one of the two mortuary affairs units the Army has in the Caribbean. The other unit is the 246th Quartermaster unit, based in Aguadilla, Puerto Rico. Both units belong to the Army Reserve-Puerto Rico, the largest federal U.S. Army command in the Caribbean. 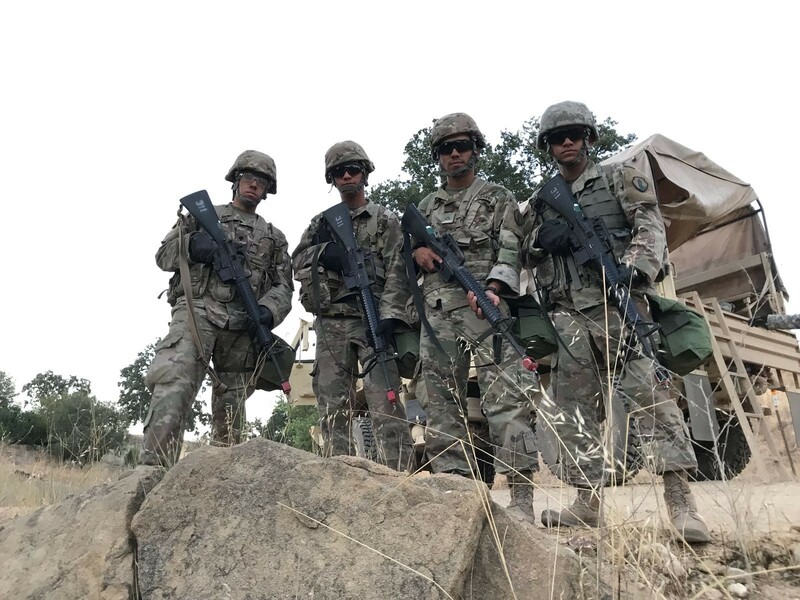 The participation of Soldiers during annual trainings enables the Army Reserve to enforce Army standards across all formations, while developing capabilities and combat-readiness in support of the needs of the Nation.